As we all know, big grilles are in. They have been for some time now, and I blame Audi. Ever since they joined the upper and lower grilles with a ring of chrome and black plastic inner bits, which I think happened when they facelifted the A3 in 2004/5, we've seen it in various forms in pretty much every market segment from pretty much every major manufacturer. 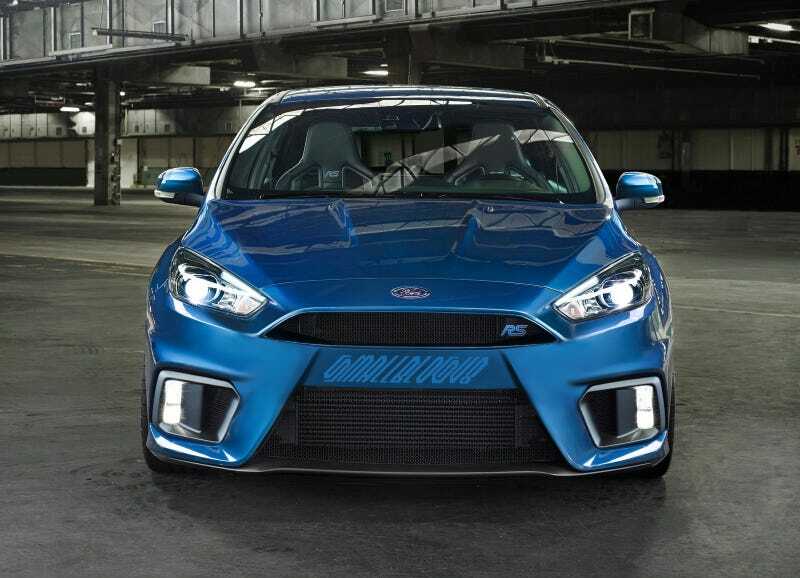 As crowded markets try ever harder to stand out, these grilles have grown to such sizes that a good 50% of the total grille are is completely fake and blocked off with filled-in holes, or in the case of the new Ford Focus RS, a hideous grey bar of plastic that looks like a rugby player's mouth guard. Ford recently globalised their design language, and part of that was taking the European "Kinetic Design" style - very much following Audi with its large grille and black plastic crash bar holding the licence plate inside it - and swapped the upper and lower grilles around (no, they didn't copy Aston Martin, you're not funny). I like everything about the new Focus RS except for two things: the lack of a 3-door model and that fussy, ugly nose design. It's almost like they gave it two nose designs at once, giving it enough of an opening for the visibly huge intercooler and then putting that big daft trapezoidal lip around it all so that it looks like an angry fish! They completed the now-fashionable look by, of course, making anything inside the fish mouth grey. So I decided to take the fish mouth off and color the grey back in using Photoshop. I think it looks cleaner, and a bit old-school, which Fast Fords ought to be in my opinion. You don't have to prefer it, but I do. So there. The top image is literally what I just described, with the fog light housings squared off a little to make them fit in better with the resultant lines. Below is a slightly refined version with a thicker horizontal element. If you like the cut of my jib, then you shall find much jib cutting at my (other) blog, which is called SmallBlog V8. It's an engine pun! This week I have been mostly writing about racecars.